Do you find your joints aching for no apparent reason? Even small aches and pains are your body’s way of telling you something is not working and should not be ignored. According to a Centers for Disease Control (CDC) study, 30% of the people surveyed reported some form of joint pain within a 30 day period. The greatest number of respondents had knee joint pain, followed by shoulder, finger and then hip joint pain. Our joints move an incredible amount each day, bearing heavy loads and often being strained, without us really paying attention. This accounts for wear and tear, sprains and even injuries. A repetitive movement injury is when you perform the same task over and over again, straining the muscles, tissues and joints that are involved. For example, lifting heavy boxes with poor body mechanics when moving can be a repetitive injury. Another example of a repetitive injury is with moving your computer mouse all day long with poor posture. This repetitive movement, strains the muscles, tendons and ligaments causing abnormal pressure on the joint. Using good body mechanics, the right posture and breaking activities up helps protect against injury. For example, if you have to trim a tree, don’t spend hours looking up trimming, and then gather the trimmings afterwards. Break up the activity by trimming for a short while, then squat down to pick up branches to put into a pile. This alternates the muscles you are using. Poor posture is the number one cause of most joint pain. Posture is critical to the alignment of the joints in the body from your spine, to your shoulders, hips, knees and even feet. For example, a forward head posture from prolonged sitting protrudes the shoulders forward and weakens the back muscles. This leads to shoulder impingement and even rotator cuff injuries. Make sure you are aware of your posture throughout the day. Take frequent, short breaks to stretch and move around. Sit with a straight-backed chair and your feet flat on the floor. Improve your posture by performing postural and stretching exercises. Joints need muscles to move and provide support. Most joint pains are related to poor strength and function of the surrounding muscles. For example, with knee pain a small muscle on the inner thigh, called the Vastus Medialis Oblique (VMO) often becomes weak. This muscle is critical to how your kneecap tracks. Therefore, with a weak VMO, knee pain often occurs due to the poor tracking of the kneecap. Strength training is a vital part of keeping healthy. 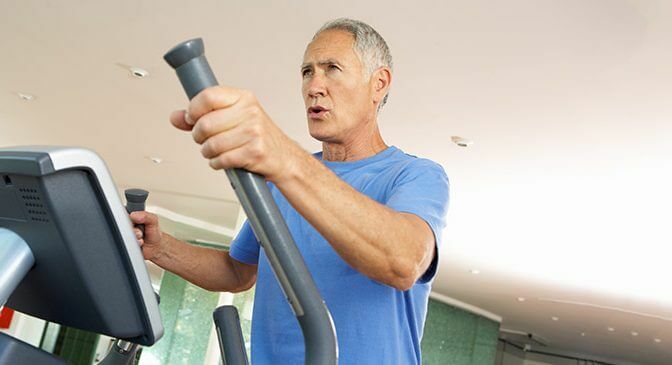 It is also important to do cardiovascular exercise to keep your heart and body in tip-top condition. Strength training is best done with a professional Physical therapist first to make sure you are moving your body correctly, especially if you have had or are having pain. There are many forms of arthritis, but the most common is osteoarthritis. This is caused by wear and tear on the joint cartilage surfaces. Arthritis becomes painful when there is a build of inflammation and joint debris from the cartilage. When joints don’t move correctly and smoothly, abnormal pressure on the surface of the joints can occur, causing pain. Arthritic joints generally lose motion and the surrounding muscles become weaker. This causes a spiraling effect of pain and poor joint support. Arthritis pain can be effectively treated with the right physical therapy. Improving joint movement and surrounding muscle strength, brings back support to the joint. This lessens the joint inflammation, abnormal pressure and pain. Often combined with different injections, other treatments and in worse case scenarios, joint replacement, physical therapy is an important treatment for arthritic joints. Sprains are movements beyond the normal range of the joint. This causes tearing of tendons, ligaments and other tissues that give joints their stability. Common sprains are in the ankles, knees, shoulders, wrists and fingers. Many sprains occur from forceful injuries such as playing sports, but others can occur because the muscles around the joint were weak to begin with. To prevent sprains, it is important to have good muscle strength in your body. If you have suffered a knee or ankle sprain before, it is important to strengthen the muscles around those effected joints. The likelihood of re-spraining these joints increases once you have already had a sprain. The reason for this is that the joint is already loose and unstable to a degree. There is a lot that can be done to eliminate your joint pain and get you back to an active lifestyle. If you have aching or painful joints that are interfering with your life, call Willow Physical Therapy today for an evaluation. See how good life can be pain free!